This Fall’s first meeting of the Rhetoric Reading Group will take place at 6:30 PM, October 28. The location will be Professor Marback’s residence (16280 Locherbie Ave. in Beverly Hills). 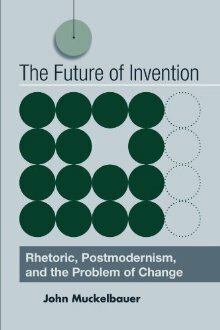 Our text will be the John Muckelbauer’s The Future of Invention: Rhetoric, Postmodernism, and the Problem of Change (SUNY Press, 2008).